Information on summer reading for all grades, including the all-school read. Welcome to MBA's summer reading LibGuide! You can access your summer reading requirements by selecting the appropriate tab above. 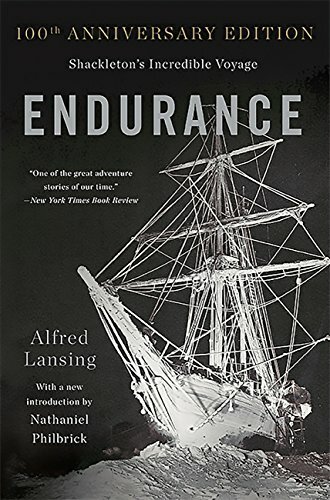 This summer's all-school read is Endurance: Shakleton's Incredible Voyage by Alfred Lansing. NEW STUDENTS: Your Overdrive accounts will be created in early June. Please check back then to use Overdrive! Click here to access books from the MBA library. 1. Download and open the Overdrive app. 2. Choose "Have an account? Sign in." then "Sign in using library card." 3. Type Montgomery Bell Academy and choose as your library. Once you add MBA as your library, the screen will also read MISBO .... you are in the right place! 3. Username: your email address without @montgomerybell.edu. No password needed! To use without the app, click HERE. PLEASE NOTE THAT NOT ALL BOOKS ARE AVAILABLE IN EBOOK OR AUDIOBOOK FORMAT. If your search comes up empty, that is why! You may also put a checked out copy on hold and will be notified when it's available. Alfred Lansing was a native of Chicago. After serving more than five years in the Navy, he enrolled at North Western University, Illinois and majored in journalism. Until 1949 he edited a weekly newspaper in Illinois. He then joined the United Press and in 1952 became a freelance writer. Endurance was his first book. He died in 1975. Frank Hurley was an Australian photographer. From 1911-14 he accompanied Douglas Mawson on his Australasian Antarctic Expedition and was one of the party that sledged to the South Pole. On his return he was recruited for Shackleton's trans-Antarctic expedition. He died in Sydney in 1962 at the age of 71.